Rowan-Cabarrus Community College has always been proud to have a vibrant student population. This year, however, the Rowan-Cabarrus Student Government Association has developed a series of innovative events that have brought out the voices of many different students on campus. The student leaders developed the Stay Woke events to educate and impassion students to stay aware and focused on social issues. 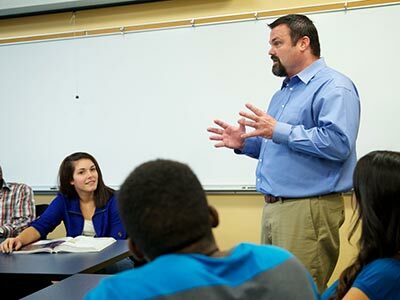 While Rowan-Cabarrus students come to the College to earn an education by taking classes and earning credits, many find that impactful learning also occurs outside of the classroom. The events were open to the entire student population and focused on a range of topics. In October, the students chose to focus on the opioid addiction/prescription drugs. This fell on the heels of the Community Opioid Conversation, which had occurred just a week earlier. Given the large number of opioid overdoses in Rowan and Cabarrus counties, the topic is especially relevant. “One of our students did a presentation regarding imposter drugs and called for a student pledge to end opioid abuse. Students promoted local resources as well as the on-campus Student Wellness Center,” said Meidl. In January, the students chose to focus on homelessness, as nationally, 13-14 percent of community college students are homeless, according to a new study by Wisconsin HOPE Lab. Simultaneously, students participated in the Point in Time Homeless Count in Rowan County with Rowan Helping Ministries. The College will next focus on cannabinoid oil and vape issues, as well as asking students to identify other issues that concern them. 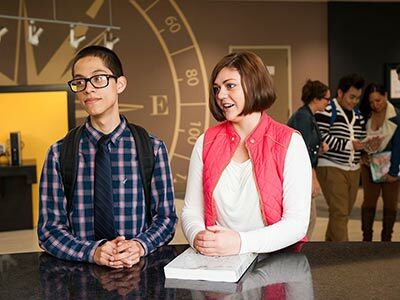 Rowan-Cabarrus Community College is committed to providing comprehensive quality educational opportunities and strives to provide activities that enhance the social, cultural, economic, and leadership development of a diverse student body. The goals of the Rowan-Cabarrus Department of Student Life & Leadership Development are to provide a variety of engagement opportunities, accommodate student diversity in backgrounds, abilities, interest, and career goals; enhance academic success; and promote diplomacy, unity, self-discipline, physical and emotional well-being and leadership skills. For more information about Rowan-Cabarrus Community College, please visit www.rccc.edu or call 704-216-RCCC (7222).